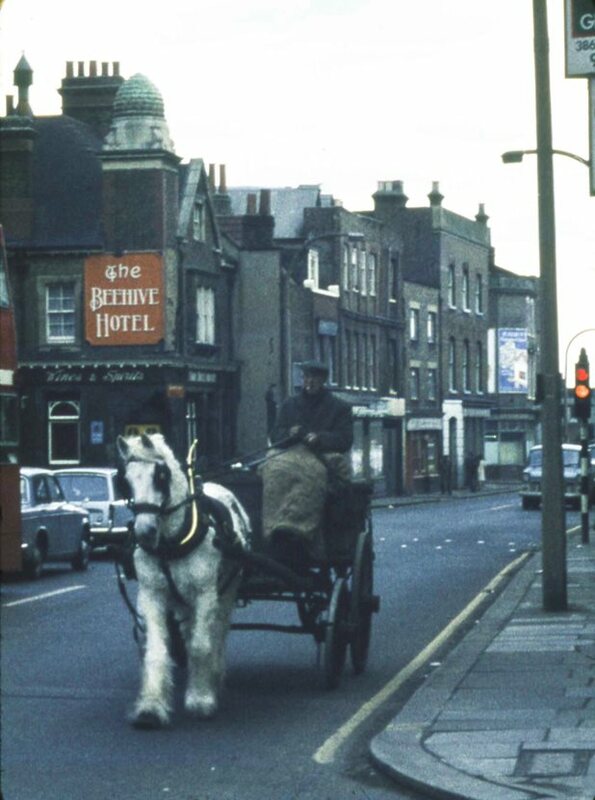 Peter Young's photo was taken on the 4th March 1972 but at a glance could date from the 1950s: a horse and cart with its driver (wrapped in a coal sack?) travelling westwards. There is a very similar photo - it could be the same horse, certainly the horse collar with brass looks identical - taken nearby in the late 1950s. Can anyone confirm if the horse or driver is the same? If so please get in touch. The Beehive Hotel at 227 High Street features in several photos and postcards on this site, to locate them search on Beehive at the top of the home page.